At Mark Cameron Yachts we realise the decision to sell any boat can be a decision laden with emotion. Often a boat is a long loved member of the family which has been the source of many happy memories. Our aim is to provide a full comprehensive and efficient service to help you complete the process of selling as quickly and efficiently as possible. As full members of ABYA we participate in the association’s continual professional development program to make sure we are always abreast of the latest legislation and technology to provide the best possible service. Having years of brokerage experience behind him Mark has jotted down the answers to questions frequently raised by those thinking about selling. With large sums of money involved the involvement of a broker provides both vendors and purchasers with an additional layer of security and comfort. The sales process being completed using standard ABYA contracts with all monies processed through a dedicated client account. Bill of Sale in favour of the vendor, if the boats been owned for 5 years or less we would also expect to see the previous bill of sale. As part of our brokerage service we can provide a no obligation free valuation. This process can normally be completed with a few details of the boat and a selection of photographs. If you wish to proceed with listing the boat for sale we will complete a full valuation process, attending the boat before providing a market appraisal for the class. When looking at the asking prices of similar examples of the class currently on the market, you should allow for the achieved selling price being below this, often as much as 10%. Inventory does have an effect on the boats value, however often not in the dramatic fashion you may imagine. In the first few years of service; sails, upholstery and electronics will justify an elevated asking price. After these initial few years of service the benefit of such items is not in relation to the value of the boat but rather saleability and attractiveness over other examples of the class currently for sale. Professional clean and polishing of the hull and deck mouldings. Professional cleaning of any on deck timber work, refreshing bright work. 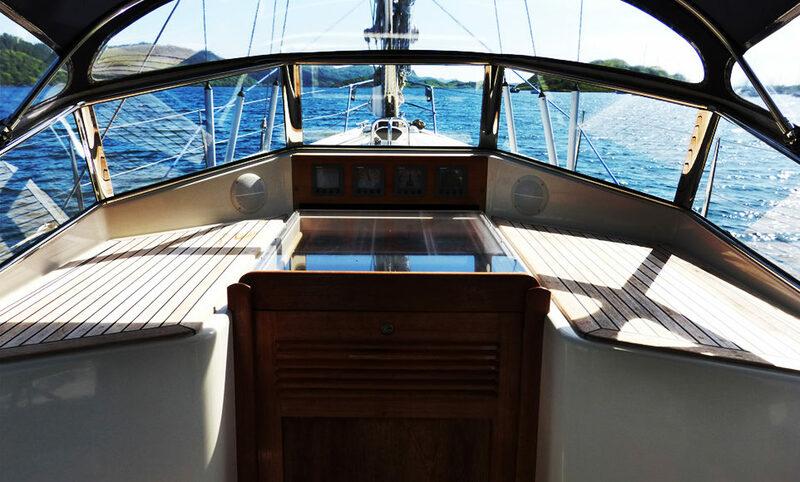 Professional valet of the boat internally, including cleaning of the bilges and upholstery. De-cluttering of the interior, it’s amazing what you find stored away at the back of those lockers! There is a fine balance however between a boat which looks loved and in regular use and one which is sterile and lacking character and charm to attract a potential buyer. An eye should always be focused on the end game. It’s unlikely any offer for a boat will be made without being subject to survey and often a sea trial. The survey is often the last hurdle on the road to a successful sale. It is more than likely that the vendor will have a fairly recent survey for the vessel, either from the time of their purchase of the boat or for insurance purposes during the ownership. Such reports provide an excellent indication of the problems likely to crop up at survey. The recommendations should be worked through methodically to prevent them from being raised again. A sea trial will often show up the niggling issues that can be missed in a routine survey. We always advise that some time is spent servicing that sticky winch, replacing that faulty bulb and replacing that alternator belt which is on its last legs. A buyer will use the smallest issue as leverage or part of a cumulative unforeseen cost to try and renegotiate the selling price after survey. A small investment before putting the boat up for sale can be a very sound investment. Commission your own survey as a sales tool. If the boat in question is a common model, competing in a crowded market place with potential buyers having dozens of examples to choose from, it can be a very sensible investment to commission your own survey. Having a good recent survey to share with any potential buyer is a powerful tool which can make the difference between potential purchasers deciding to jump on a plane or in a car immediately to view a boat. The last and possibly most important subject is the strategy employed when setting the asking price. The paperwork can be in order and the boat can be presented in the best possible manner with a glowing survey from less than six months ago but a poor pricing strategy in a competitive market will have a more dramatic effect on how long it takes to achieve a sale. Vendors want the best possible return from their boat when it comes time to sell, naturally steering towards the upper end of the asking price range. Adopting this strategy in the long run often ends up eliminating any financial gain after allowing for the increased period the vendor has to cover the costs associated with ownership. We will provide you with an in depth market appraisal at the start of the sale process and after careful consideration will provide our recommended asking price which we believe delivers the best possible return while positioning the boat correctly in the current market.